Buying gifts for someone who loves to spend their hours chasing waves can be difficult if you are not a beach lover yourself. I have put together a list of items that my 18 year old nephew who lives to surf has on his Christmas list. Surfing books, magazines and DVDs can make great gifts to help pass cold wet winters. Equipment that simplifies heading to the beach is always appreciated and anything that makes a day in the water safer has got to be good. I hope there is something to simplify your Christmas, Valentines or birthday shopping here. 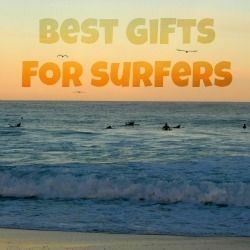 Here is a selection of the most popular and affordable surf gifts I have given. The tool is made from sturdy material and has a lifetime warranty. With a wax comb, Allen key, Philips head and a tool to change fins. This is by far the most popular gift I have ever given to a surfer. Basically a bucket list for board-riders this book is like a travel guide to the best waves in the world. It is full of practical information on how to get there, when to go and insider information. Covers all the world's oceans so you can surf from Sydney to San Sebastian. The photography is amazing, this is the perfect book for days when dreaming of surfing is all they can manage. There are lots more surfing books on Amazon. This is a great idea for younger surfers who can not afford to fork out for a magazine each month on limited pocket money. This title is full of reviews of surf spots and surf products along with lots of great photography. This strap comes in 3 different sizes and solves the age old problem of where to store your keys while you surf. When the weather turns cold there is no reason to give up life on a board. This Santa Cruz cruiser skateboard is designed to be fast and fun. Great for trick and hills. True in style to the skateboards of old, this longboard turns heads with its aesthetic design. It's lightweight and designed by the people who bring you the amazing Santa Cruz surfboards. These boards are great fun and will only improve balance and athletic ability. This board has a 7-ply deck with 65mm Road Rider 78a wheels. It measures 27.7 x 8.8 inches. Find more skateboards on Amazon. If your budget is not as limited as mine consider a Go Pro style camera. This allows them to capture the perfect wave for all eternity, relive those rides over the winter or learn to improve by watching how they ride. I am a surfer! I love it and thanks for sharing all these gift ideas. Just came across the SurfivalKit.com. Pretty much designed as a gift for surfers! Kind perfect! I don't have a surfer in my family. When I lived in California I use to love to go watch the surfers, I could watch them all day every day. Nice lens. I think any surfer would like a ticket to Hawaii! This was so cool to read. My daughter took surfing lessons a couple of years ago but decided that was not the sport for her. 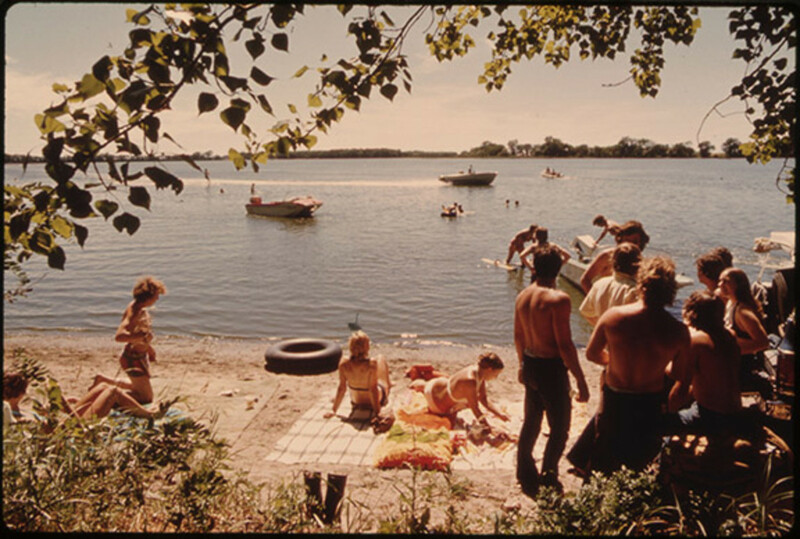 I have fond memories and some really cool photos of her surfing. Great lens!! I have a good friend who is an old man like me (mid-fifties). He took up surfing about two years ago. He loves it! He surfs at Jacksonville, FL about once a month. I now have a gift guide for him. Thanks! I've bookmarked this lens so I can return. What do I think makes a great gift. More board wax, a world map with tide tables. Great squid, thanks. Very creative ideas! My whole family loves the beach, but it's my nephew who is on the surf circuit. What a life! That book in your widget--it's about the area of my hometown, Imperial Beach, CA! Great lens with some really good ideas for gifts.... I have inspiration for my brother's birthday now! Surfing is so darn cool, in between sessions why not stay warm with a swim parka ? I'm sure you will not regret it. Globalodyssi.com Surfers First Aid Kits, but I'm biased. 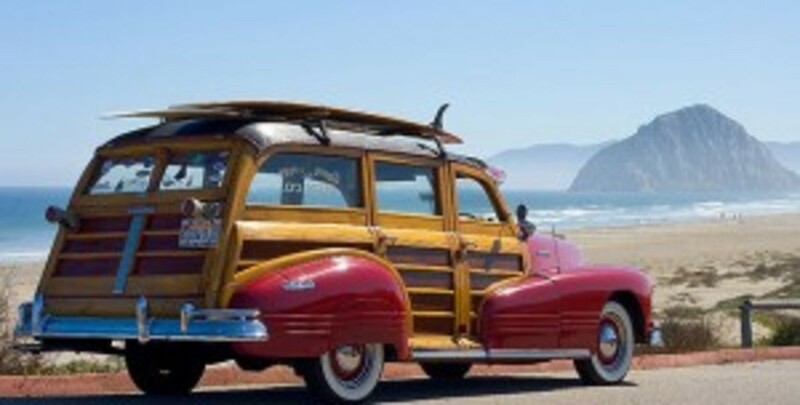 Great for travel to make sure nothing gets in your way of surfing epic breaks on vacation. Some good gifts there, my personal favourite is the waterproof camera. If these take off I predict youtubew is going to be flooded (no pun intended) with loads of surfing clips. Im a surfer! And I love the idea or receiving any of the gifts mentioned above. I especially like the 50 places to surf before you die. great selection here, enjoyed browsing over it! Surfers are awesome and these are some great gift ideas! I would get them an actual surfboard, but of course you would really have to know the person. Maybe if you were with them when they made a remark about owning a certain board? Cool stuff and very nice lens! 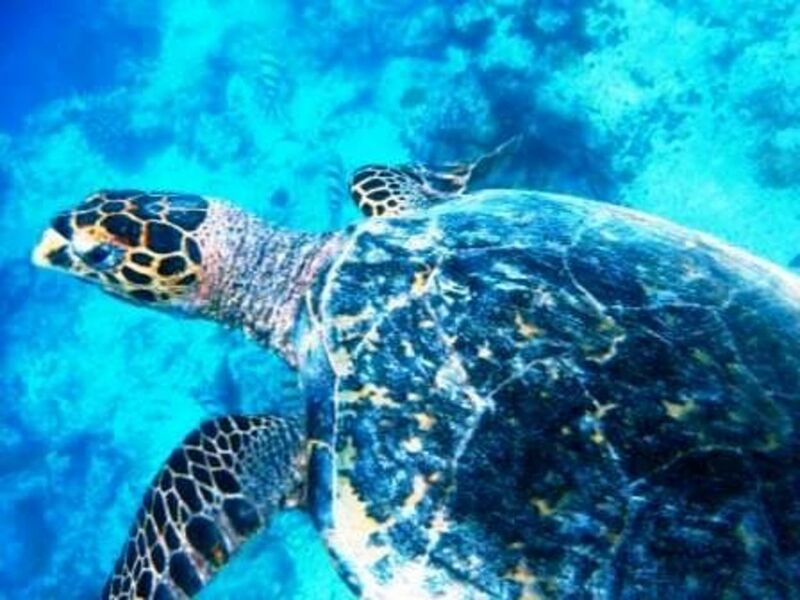 A great list of surfie Gear! Now, if only I had surfers to buy for! Not much surfing done in or around Fargo, ND! Lessons for the younger ones are often appreciated. What a great idea. A great idea to create a gift list for surfers!